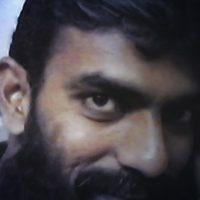 November 24, 2018 November 24, 2018 - by UsmanAnsari - 2 Comments. 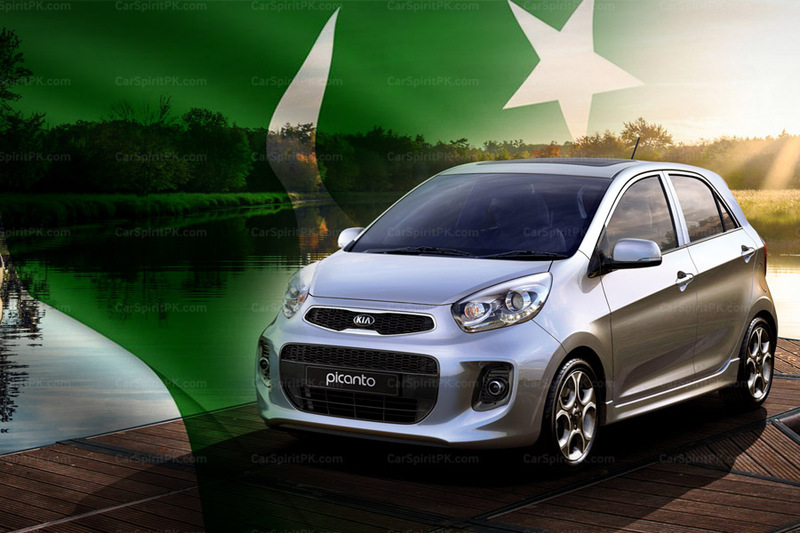 In March 2018, Nissan officially announced its entry in Pakistan. 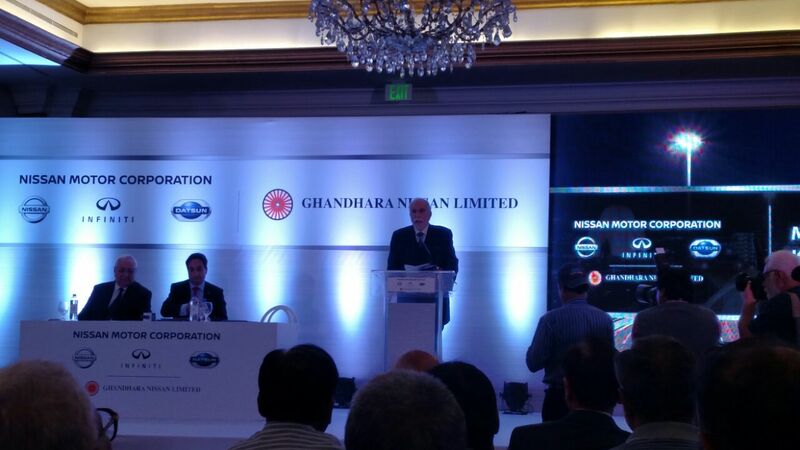 The manufacturing and licensing agreement between Nissan and Ghandhara will see the local production of Datsun models in our country. 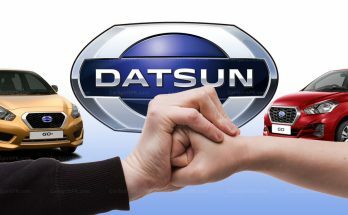 Sales of the first locally built Datsun vehicles are expected to begin in Pakistan within the 2019 fiscal year. Although the company hasn’t officially announced which products it will be launching, but its widely believed to be the GO hatchback and GO+ 7-seat MPV. 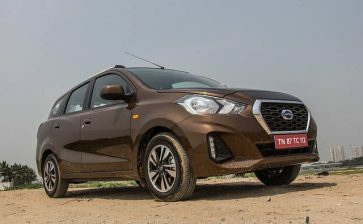 Datsun has recently given a first major overhaul to the GO and GO+ in India since they were first introduced back in 2014. 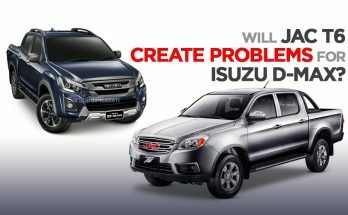 The duo gets subtle exterior changes and a much needed addition in the feature list. 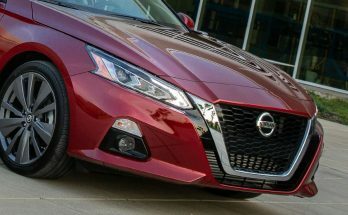 Appearance wise, the changes on the redesigned bumper include vertical LED daytime running strips integrated into the blacked-out insert. 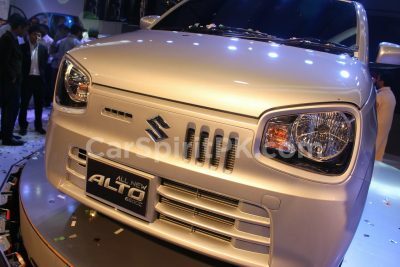 With the grille slightly tweaked, the overall appearance looks a lot more appealing than before. The rear bumper also gets subtle changes to keep things fresh. Additionally, both cars are now offered with 14-inch alloy wheels for the first time. But the most prominent changes comes on the inside. 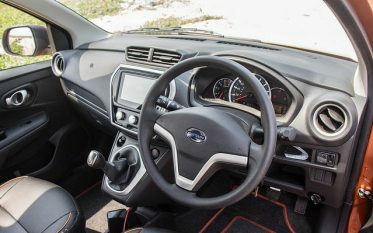 The center console gets a 7-inch touchscreen infotainment system which is compatible with Apple CarPlay and Android Auto. 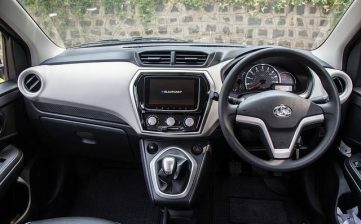 The dashboard is thoroughly revised with a new instrument cluster, proper glove box, and a conventional handbrake lever between the seats. 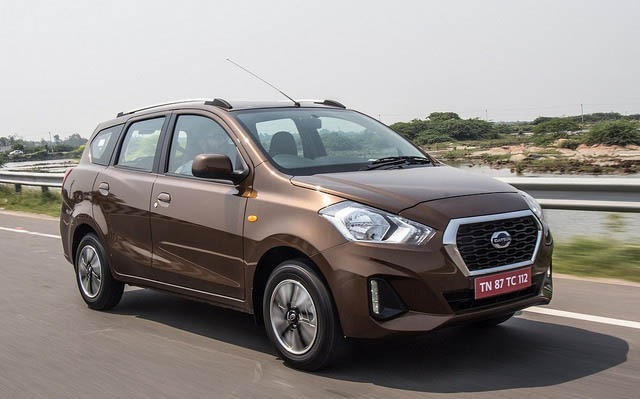 New additions in terms of feature list includes power windows, power outside mirrors, rear parking sensors, dual front airbags, ABS with EBD and BA, and rear windshield wipers as standard. 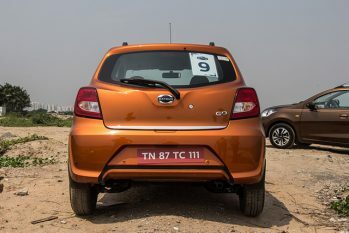 The 1.2-liter 3-cylinder petrol unit which puts out 67bhp and 104Nm is mated to a 5-speed manual transmission, remains unchanged. 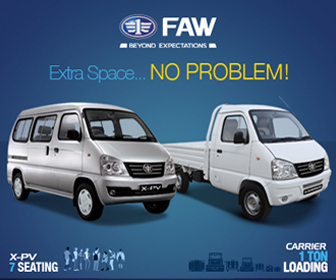 Although the duo gets a CVT transmission in international markets, it is yet to be offered in India. The best thing about these cars is off course, the price. 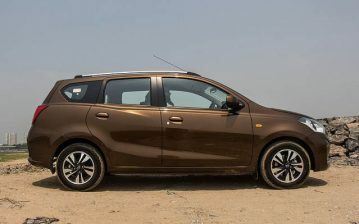 The GO hatchback is priced from just INR 3.29 lac which converts into PKR 6.22 lac, while the top-spec version goes as high as INR 4.89 lac which converts into PKR 9.25 lac only. The GO Plus starts from INR 3.83 lac (PKR 7.24 lac) and goes as high as INR 5.69 lac (PKR 10.76 lac) for the fully loaded version. 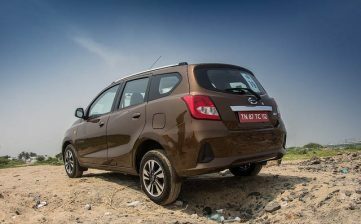 Related: Datsun Go will be Cheaper than WagonR and V2? 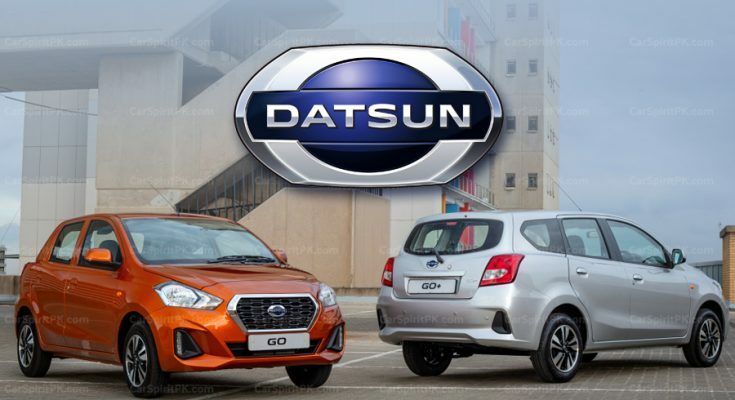 With limited options available for buyers, the Datsun GO and GO+ can be a welcome addition in our market. Whether the duo will pack the same features as found in other markets bearing a similar price tag, we will have to wait to find out. 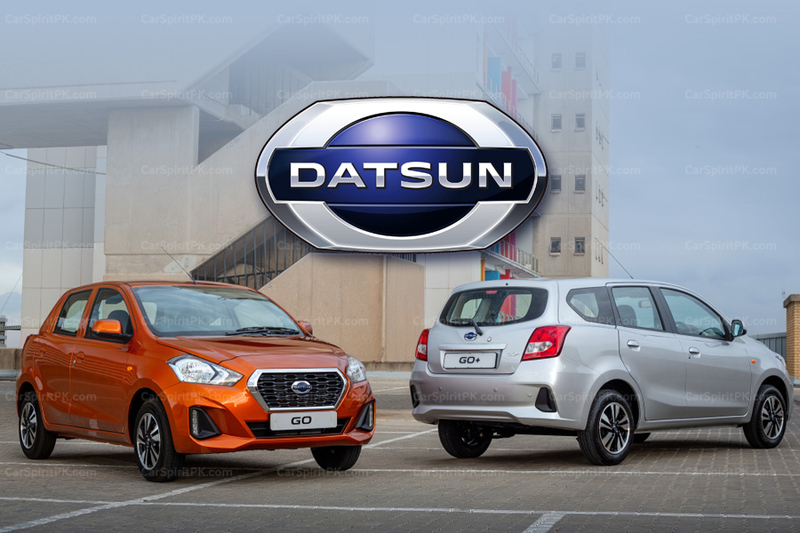 From the looks of it, if Ghandhara is able to offer the same model (facelift), loaded with similar features as available elsewhere in a reasonable amount of money, these Datsun cars will sure give some tough time to the breed of local assembled Suzukis in Pakistan.